Each time you set out to do a task, whether it’s painting a room, planning a vacation, or simply folding the laundry, you want to do it the right way. You’d be hard-pressed to find someone who intentionally seeks to do something the wrong way. What’s the point of that? Doing something the right way increases the likelihood that you will accomplish your goals and expectations. The same goes for meditation. Meditating correctly will foster greater fulfillment and ease in your practice. Learning how to meditate properly is an essential part of your meditation journey. Have you ever painted a room? This almost universally-hated chore has a lot of nuances: the paint finish and color, cleaning the room before and after, protecting the flooring and trim, using the right brushes and rollers to apply the paint, not to mention the fact that you’re probably going to have to do more than one coat. Everyone seems to have their own method of painting a room, but there is a proper way to do it. When you take the time to meditate, you want that time to be well spent. You expect your meditation to increase fulfillment and ease, but if you fail to meditate well, you will be sorely disappointed in your practice, just as a sloppily painted room disappoints every time you walk into it. These aren’t baseless claims; they are backed by science. Numerous studies have documented stress reduction as a result of regular meditation. Meditation has specifically been proven to reduce stress in people suffering from a chronic illness. One study even showed that regular meditation could reduce stress in cancer patients by 31 percent. Yet another study showed that symptoms of depression could be reduced in adults who practice meditation. There is also evidence that meditating before bed can help those with sleep disorders not only sleep sooner but sleep longer as well. The studies mentioned here are only a handful of hundreds of similar research projects that have routinely proven the efficacy of meditation. The trick is to do it well. Meditating isn’t easy. It takes a great deal of practice and discipline. If you are new to meditation, heed this advice and start your practice on the right foot. 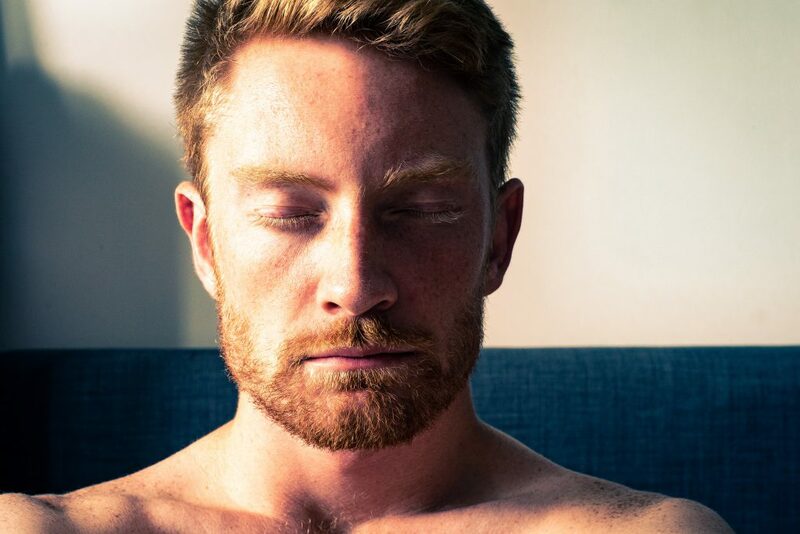 If you are an experienced meditator, read these tips with an open mind, you may discover new ways to improve your practice. Let’s learn how to meditate properly. This seems obvious, but it isn’t. In a single day, we pack in as many appointments, meetings and commitments as possible, but are any of those appointments with you? Take the time to schedule an appointment with yourself. Put it on your calendar and regard it with the same level of commitment that you would any other meeting. Meet yourself in your meditation space and commit to the time you have set aside. Don’t allow other responsibilities or or tasks, no matter how important they may seem, keep you from this time. The monotony of the day-to-day tasks are very short term. The emotional, cognitive and physical benefits of meditation are long term. Time is more valuable than money, because it’s a finite resource. You can’t create it, but you can squander it. Choose to invest in yourself and don’t allow anything to get between you and the self-care of meditation. Also consider the context of the time you choose. Will your environment be distraction free at the start and the end of your practice? Consider what could happen in your environment in the next 5 to 10 minutes. Are the kids due to get home from school? Is the UPS guy going to ring your doorbell? Are you expecting a phone call? If these are possibilities, you may want to choose a different time to meditate. Don’t pick a time simply because it is convenient at the moment. Think about potential outside distractions that could barge into your practice and negatively impact the quality of your meditation. Meditating well depends on your ability to find a time that is completely distraction free. Choose a place where you would like to meditate. It could be your patio, a sofa, your bed or even in a designated meditation room, if you are so lucky. The most important thing is to find a place where you are comfortable. It could be extremely distracting to settle in on an itchy carpet or in a room that’s too hot or too cold. Consider everything about the environment and how it may impact your practice before you select the place where you should meditate. Your meditation environment should also have a pleasant aura and be relatively quiet. Negative energy and background noise may case your mind to wander. Find a place that easily enables you to rid yourself of distractions and find joy. few of your favorite books. If it brings you joy and a sense of peace, it should be in your meditation space. If you want to learn how to meditate properly, posture is key. When you think about it, adjusting your physical stance is the first thing you do when you come to a place of meditation. You can meditate in any position. Standing, sitting or laying (or some variation of the three) are all acceptable positions in which to meditate. Regardless of your position, create excellent posture to meditate well. Good posture fosters many health benefits, including increased concentration, better breathing and reducing the stress on your joints. Each of these benefits will enhance your meditation practice. If you struggle to find good posture, start by getting into your meditation stance. Squish your shoulders up to your ears, then roll them back to push your chest forward. Lift your chin so that your jaw is parallel to the floor. This may feel strange at first, but the longer you do it the more natural this position will become. Great posture will also help reduce distractions. If you aren’t in a comfortable position when meditating, you will inevitably begin to feel stress in your joints and muscles. These aches are often very distracting. Don’t let those distractions creep in; start with great posture. We live in a world that has no shortage of distractions. According to a recent report by eMarketer, the average American consumes more than 12 hours of media, that includes TV, radio, print and digital, per day. That’s an incredible amount of distraction. Enough is enough! In order to meditate well, you must be able to rid yourself of these pervasive outside distractions. Do not bring your phone to the place where you meditate. Make your meditation environment relatively soundproof and, if necessary, add blinds or curtains to prevent the sunlight from distracting you. Before you begin to meditate, think about what you are wearing. Is it comfortable? Does it make you feel good? Does it distract you? The same goes for your jewelry or any other ornamentation you may choose to wear. Change your clothes or remove your jewelry if needed. Think about how you feel. Are you struggling with cold symptoms? Treat them! Are your lips chapped? Apply lip balm. Have you had enough food and water? Be sure to come to your practice well hydrated and with a full-ish stomach. There’s nothing more distracting than being hungry or thirsty. These small efforts will pay off in spades with the benefits you receive from meditating well. You may have mastered the art of emptying your mind, but you will always have thoughts from floating through your head. How you respond to those thoughts is what separates simply meditating and meditating well. When a thought enters your mind, allow it to pass by, not giving it any brain energy or consideration. That doesn’t mean that you shouldn’t revisit those thoughts post-meditation. Often, these passing thoughts provide great insight into your emotions and mental well-being. No matter what the thought may be, acknowledge it, accept it and don’t pass judgement on yourself for having the thought in the first place. Thoughts are just that: little ideas that stay inside our heads unless we make a conscious choice to act upon them. The art of meditating properly depends on your ability to not judge yourself for such thoughts. What are your meditation goals? How long do you think it will take to reach them? If you have answers to either of these questions, you aren’t meditating properly. Just as meditating well is contingent upon not judging oneself, it is also devoid of expectations. Sure, you may choose to begin a meditation practice because you want to reduce stress or anxiety, which is completely reasonable. The problem arises when a value is attached to the goal; it not only undermines the whole point of meditating, but it also opens you up to another avenue to judge yourself. Leave your goals at the office. No two meditation sessions will ever be the same, and they shouldn’t be. If you begin to notice patterns of distraction, thoughts or other enemies to meditating well, you may need to alter your practice. Maybe you find a new environment to meditate, or perhaps you find that repeating a mantra helps you to stay more focused. Whatever it is, make the adjustments you need for your practice to produce the best possible results. You may also want to try a guided meditation to help maintain your focus. There are many guided meditations available on the Mindbliss meditation app. Download the app today to begin your guided meditation journey. Meditation can take many forms. Allow it to do so, without question or hesitation. You may be moved to meditate at work during a stressful day. You may typically meditate when you get home but know that in a certain moment, you could really use the support of meditation. Honor that. You don’t always have to meditate in the same place and at the same time every day. There are many points in the day that may require meditation. Engage in your practice whenever you need. It’s your practice, own it and do it your way to meditate well. Create a pattern of meditation. Try to find time to meditate every day and carry out your meditation at the same time each day, if possible. Our busy schedules won’t always allow for this, but no matter when you come to your practice, come with an open heart and an open mind. Research tells us that is takes 21 days to form a new habit. If the prospect of daily meditation is a daunting one, give it three weeks and see how repeating this practice can enhance your well-being. As with most things in life, the more you do it, the more fruitful your meditation practice will become. Use this guide to learn how to meditate properly and allow your practice to blossom. Meditation is a practice. If you want to do it properly, you must practice. As with most things that you ‘practice,’ it’s not easy and is often downright challenging. Bleacher Report recently named Michael Jordan as the most successful athlete of all time. How did he get there? Practice. He didn’t achieve this designation overnight It took thousands of hours of blood, sweat and sacrifice to achieve such an honor. Meditation is no different. Well, it is a little different in that it’s not about competition, but the notion of tirelessly practicing at something to gain honor holds true. Anything that is worth doing is worth doing well. Don’t shortchange yourself with a sub-par meditation practice. Honor yourself. Put in the work and begin to meditate properly today.